If there’s a painfully hard group to shop for a gift, is teenage boys. Teenage boys are highly individualized with likes and dislikes. They also have varying interests in electronics, sports, and more mature items. The creative types who used to play Lego when they were younger would enjoy a whole new level of building blocks while the gadget lovers would appreciate tech gifts. On the other hand, the outdoor and sporty types will appreciate gifts that will give them unforgettable experiences. But if you have no idea of what kind of a personality the teenage boy has, we’ve hand-picked a list of 30 top gift ideas of cool, inexpensive gifts which he’ll be ecstatic to receive. These gifts are perfect for their graduation, birthday, Christmas and other special occasions. Why we like it: This is an excellent tech gift that offers a fun-filled outdoor activity for your teen with several stuns that will impress his friends. The product which features a beginner friendly design is compact with a fun new look. If your teenage boy is still obsessed with drones, the Spider Quadcopter Drone is an ideal gift with a compact design ideal for beginners. 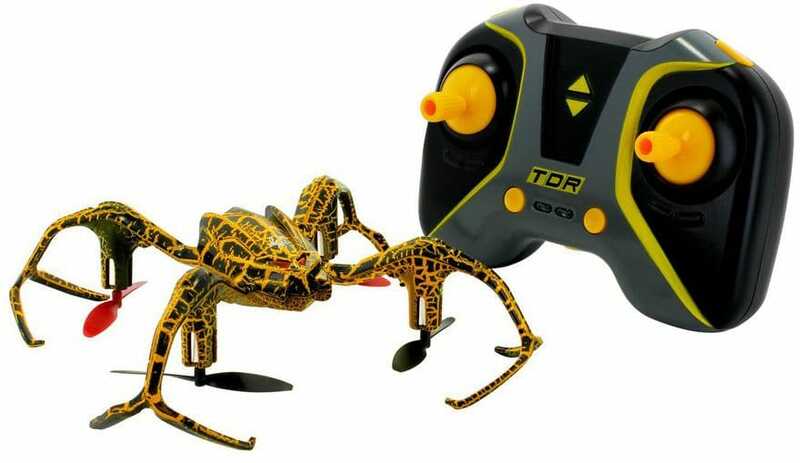 The outdoor-ready stunt drone can do 180 degrees flips, tornado stuns, and 3D 360 roll stuns. The products feature a simple one fundamental construction that offers the beginner perform tricks like a pro — the spider body and frame design with a fun new look and a 6-axis stabilization help with wind resistance and stabilization when hovering giving him more confidence. The drone is lightweight and a perfect gift for teens who like traveling. Why we like it: This portable wireless Bluetooth speaker is an ideal choice for streaming his music while doing other activities making it a perfect gift if your teen is always listening to his tunes. The 33-foot wireless range AmazonBasics Portable Wireless Bluetooth speaker will stream music and other audio contents from his smartphone with up to eight hours on a single charge. This portable device that keeps his music playing anywhere features a rich bass and high-quality sound even on high volume an ideal choice when he’s camping, when having an outdoor party or when relaxing at home. The 2.1 EDR advanced Bluetooth technology pairs easily with smartphones and other compatible devices like tablets, laptops while the non-Bluetooth devices can be connected using the 3.5mm aux-in jack. This rectangularly shaped speaker features a compact design and is available is three choice colors. Why we like it: If your teen great fashion accessories, then Ray-ban Classic Clubmaster Sunglasses will be the ultimate Christmas gift that will give him a fashionable and unique sense of taste among his peers. The RB3016 is edgy, fresh, and distinctive with state and metal details that will offer the young lad with a sophisticated look. Apart from making fashion statements, the sunglasses also protect against the sun’s UV rays and helps improve function tasks like driving or when outdoors eliminating dangerous glare. The unmistakable 1950s inspired design features a rectangular metal frame rimmed with plastic on the upper frame and adjustable nose pads for a cozy feel. The product offers scratchproof lenses construction for durability. Why we like it: The G903 delivers impressive responsiveness for professional gaming tournaments with a smooth, filtering and acceleration sensor at speeds over 400 IPS. The product is the world’s first and only wireless charging compatible gaming mouse. If your teen is a gadget lover, he will appreciate the G903 mouse with Logitech Lightspeed gaming technology with a 1 ms report rate to deliver remarkable responsiveness for competition-level twitch targeting. 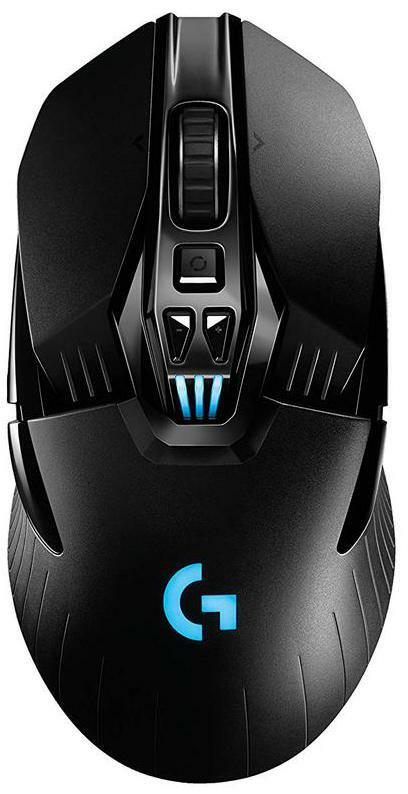 The mouse features excellent tracking precision and consistency at speeds of over 400 IPS. The Lightsync mice notably feature customizable colors that will help him to adjust according to his games. The product also features a lightweight design with a Powerplay charging system that keeps the mice charged while at play or rest. The young lad will love the gaming mouse especially if he uses together with Logitech G RGB keyboard, headsets and speaker to make a complete Lightsync gaming setup. Why we like it: The biggest Blockbusters look and play great on the world’s most powerful console – Xbox One X with faster framerates, improved textures, and higher resolutions. 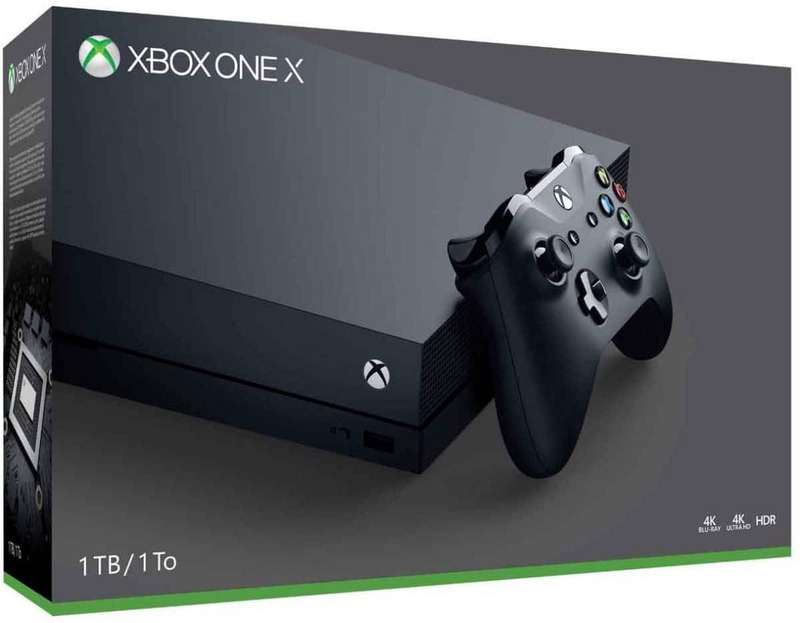 The Xbox One X 1TB will give the young lad the ultimate experience without a 4K TV on the world’s most powerful gaming console. The Xbox One is feature-packed making it a more desirable device with 6teraflops of graphical processing power. The console notably features an upgraded built-in 4K Ultra HD Blue-ray player with framerates which are most consistent and fluid for vast gaming and entertainment. The live servers that are included in the Xbox ensure stability, speed, and reliability for fast, smooth and reliable gaming. Your teen will be able to connect and share across platforms and play with the most fabulous community of gamers on Xbox One. Additionally, he’ll get two to three free games each month with Xbox Live Gold. The product features Alexa voice command that gives you information, sets reminders and helps to organize your day. Why we like it: If your teen loves to target practice, Nerf Rival battles offers intense head-to-head challenges with a powerful blaster and a large capacity that unleashes up to 8 rounds per second when fully charged. 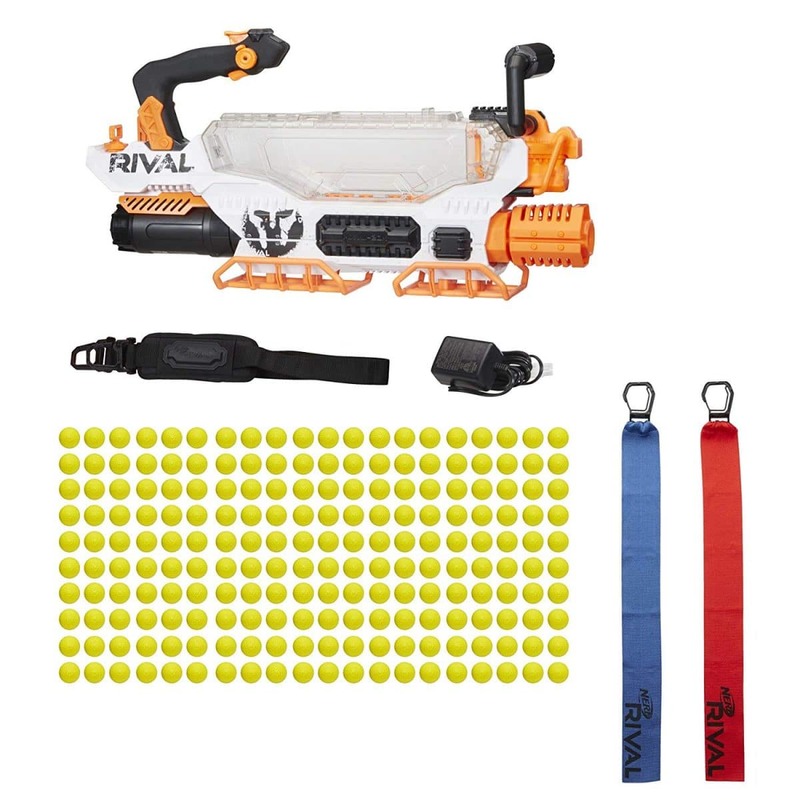 This motorized Nerf Rival blaster features an advanced acceleration system that can shoot up to eight rounds per second making it the best outdoors gift with an unforgettable experience for your teen guy. The MXVIII exists 200 rounds in its hopper and fires at a velocity of 100 feet per second and includes a rechargeable NiMH battery. The device also features a trigger lock, a tactical rail and a shoulder strap for portability and comfortable shooting when combating opponents. Hasbro included teams in the Nerf Rival battles with Red and Blue team flags that challengers can wear or attach to their devices. Why we like it: This is an excellent game for your college campus teens that involves two or more competitors for fun indoor and outdoor sports. The tighter the net, the more the bounce and the less tense, the less bounce for the advanced player. 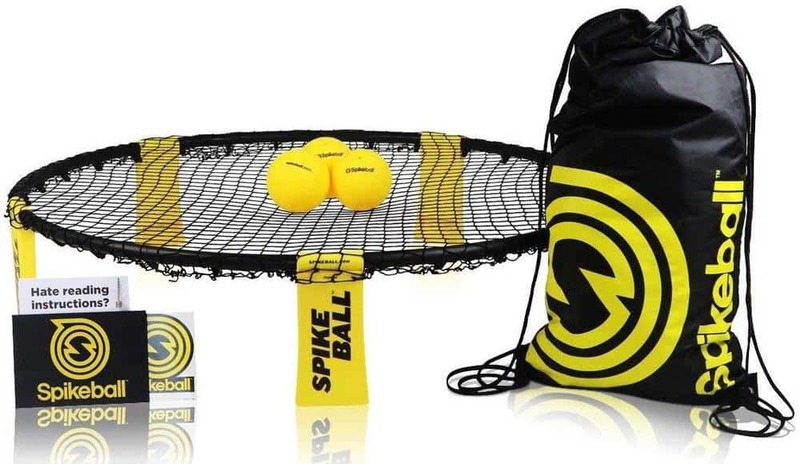 Spikeball features an adjustable net tailored according to the player’s need. This game will keep the sporty type who enjoys outdoor activities occupied and active. It’s also easy to learn and can be played anywhere like on the backyard, lawn, gym or the beach with four of his friends. Spikeball notably features sturdy foldable legs for easy storage and quicker setup. In addition to this feature, the kit comes with a reasonably long carrying bag that fits everything perfectly for easy pack up and portability. The game is excellent for cross training, hand-eye training and active recovery. Why we like it: The Epiphone Les Paul Standard is an excellent starter guitar with a remarkable sound and performance for the price. This Epiphone Les Paul electric guitar with two magnetic pickups produces different tones that are either bright or trembly timbre or warmer and bassy offering the young musician in the making great and fun times. The coil splitting feature in this model will enable him to switch and select between single coil pickups full output or lower output. Les Paul Standard has smooth neck, polished fret edges, and great sound flexibility from the coil tapping Probucker pickups. This electric guitar notably features a AAA flame maple veneer top and is available in an array of new color options with impeccable fit and gloss finish. Why we like it: This is a great game that brings together his friends and easily connects to the TV and can also be played on the go for fun experience anytime anywhere. 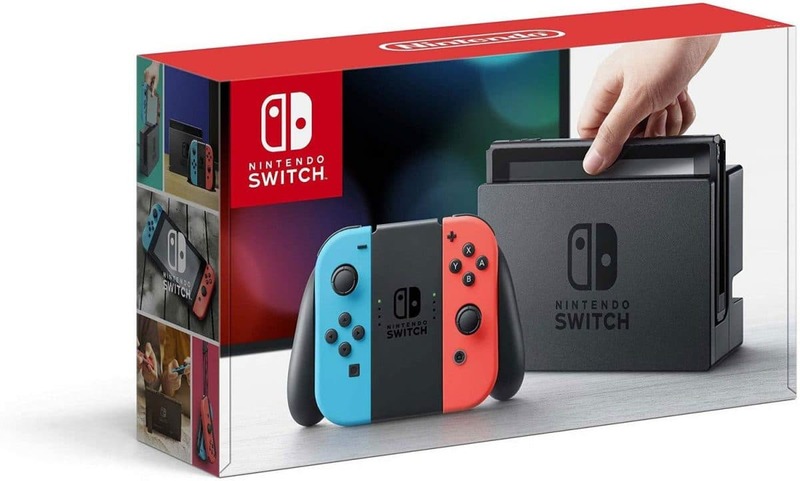 This Switch is a perfect game that your teen can play with friends and family. The home video game system features two joy con strap accessories one for the left and the other one for the right side. The console also includes a Nintendo Switch dock, one joy-con grip that the Joy cons slide into giving you the feel on a full controller. Nintendo Switch consists of HDMI cable and an AC adapter. The game can be easily connected on the TV to let him play at the comfort of the living room. Nintendo Switch can be played anywhere through the handheld mode for on-the-go gaming. The console offers a vast library of games ensuring that there’s a game for everyone on the gathering. Why we like it: Hero 6 Black is the best travel companion that you can gift your teen boy. The digital camera features a waterproof design and produces excellent image quality. He can share the images and videos through his smartphone or laptop making it the best waterproof digital camera for skiing or fishing. 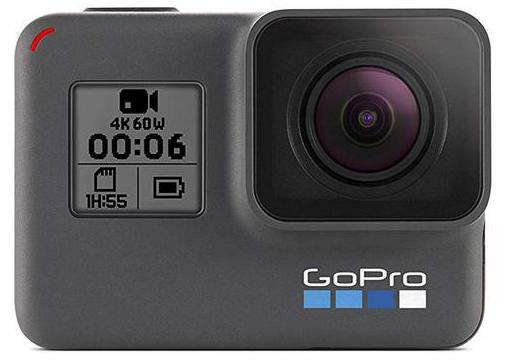 This GoPro Hero6 Digital Action camera is a perfect Christmas gift for the young photographer with 4K60 and 1080 P 240 video that delivers excellent image quality. The camera features an app that automatically uploads images on a smartphone into incredible QuickStories that he can share on social media with his friends and family. The GoPro Hero6 has upgraded the GP1 chip with 2x better performance compared to Hero5 Black. The next level video stabilization in the Hero6 Black shoots smooth videos and images when handheld or when mounted with improved performance and excellent photos. This product features a waterproof design up to 33 feet so there will be no need to worry about swimming or wet weather conditions. In addition to this feature, there’s a voice command function and a 2-inch touchscreen display. The intuitive buttons on the back of this digital camera help to adjust settings that make it easy to frame shots. Why we like it: The EPX Pro electric car that features a brushless engine is super powerful, fast and super responsive making it an absolute blast to drive. The toy is clean and offers lots of fun to the teen who loves cars. The EPX Pro electric car features a powerful 3500mAh LIPO battery for extreme top speeds with forward and transmission that offers fun for your teenage boy. 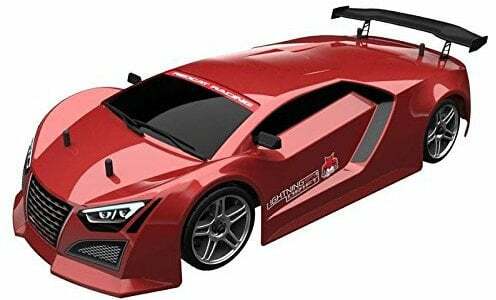 This toy features a rich polycarbonate lightweight body with an electric 3300KV brushless motor, aluminum coated oil shock with an adaptable autonomous suspension like the one set up on racing motor vehicles giving it fast speed and blasts. This ready to run metallic electric car with a rechargeable LIPO battery pack, a charger, and a 2.4GHz transistor wireless system offers consistent power resistor mechanism for maneuvering in and out of road traffic. Why we like it: The young man in the making needs to be equipped with loads of skills that prepare him for adulthood and helps him to be confident and successful as grows up. This kit is designed to give your teen important skills that he needs to survive in the modern world. 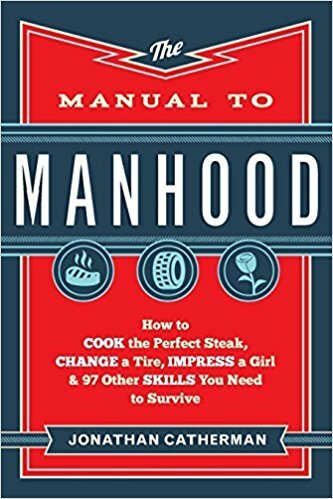 The Manual to Manhood will equip the young man in the making with essential skills that he needs to survive as he grows up. If he wants to have it all together and not look naïve, he needs the Jonathan Catherman’s collection with a hundred step by step how-to-guide on everything that a guy needs to know. Some of this engaging and insightful instructions include real-world ways to gain respect, how to build self-confidence, how to become independent, earning respect and avoiding embarrassment in your journey to manhood. Also, not forgetting how to wear a cologne correctly, change a tire, clean a bathroom, plan a date or even how to talk to a girl and tons more. Why we like it: This is a fun game with three different modes for the teen who loves to play pranks on people providing hilarious moments when he watches people reactions when they get shocked by the Shocktato party game. This Shocktato party game is a perfect birthday or holiday gift that features three game modes – the extreme, standard and the lame. This patented electrifying shocking potato game requires two to three players making it the best game that will help your shy teen interact meaningfully with his peers and make lasting fun moments. 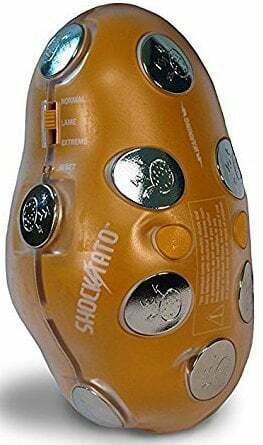 Also, the game features an auto shut off function that allows your batteries to sit for long, an On/Off button and a start button that lets him begin the game and pass it on quickly to avoid the shock – guaranteeing laughter moments and a good time with friends. Why we like it: This is an excellent gift to your teen that will give him peace of mind whenever he’s traveling. Powercore+ features intelligent high-speed charging function, a compact design and a travel pouch for portability. Powercore+ portable charger features adaptive high-speed charging technology ensuring that your teen who’s always on his smartphone is not slowed down. 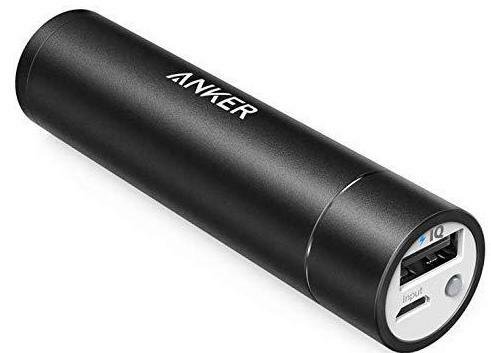 This device notably features a compact design about the size of a lipstick tube with powerful high-grade lithium-ion cells providing ultimate efficiency and performance. This device is not affected by power surges, short circuits, and other unforeseen dangers. This product is compatible with Android smartphones, Apple devices, Galaxy S6, Nexus 7, tablets, and select other USB-charged gadgets. Powercore+ is available in black, blue, pink and gold colors. Why we like it: If you want to inspire sportsmanship in the growing young man, the Doinkit Darts kit is the perfect gift that will help him to improve coordination. This Doinkit darts features safe magnetic darts and a 16-inch board an excellent way your teen will have fun with friends and family. 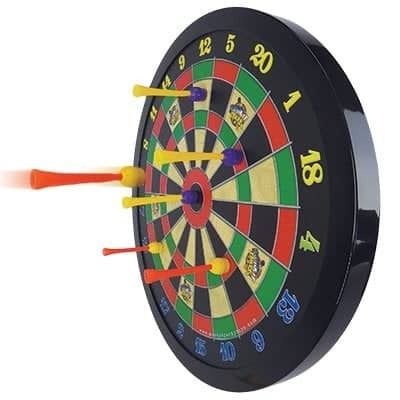 The darts are reliable and durable and feature neodymium magnets and modern construction materials that are safe and durable that will not harm your walls or kids. This kit features the same attributes as the classic dartboard with faux cracks, same classical styles, and targets that will enable him to hit the bulls-eye swiftly. The board features two slots on the back for a nail or picture hanger that easily hands in any room. Why we like it: This 3D printing pen will help your teen sharpen rational thinking capabilities and harness his creative skills and imagination. 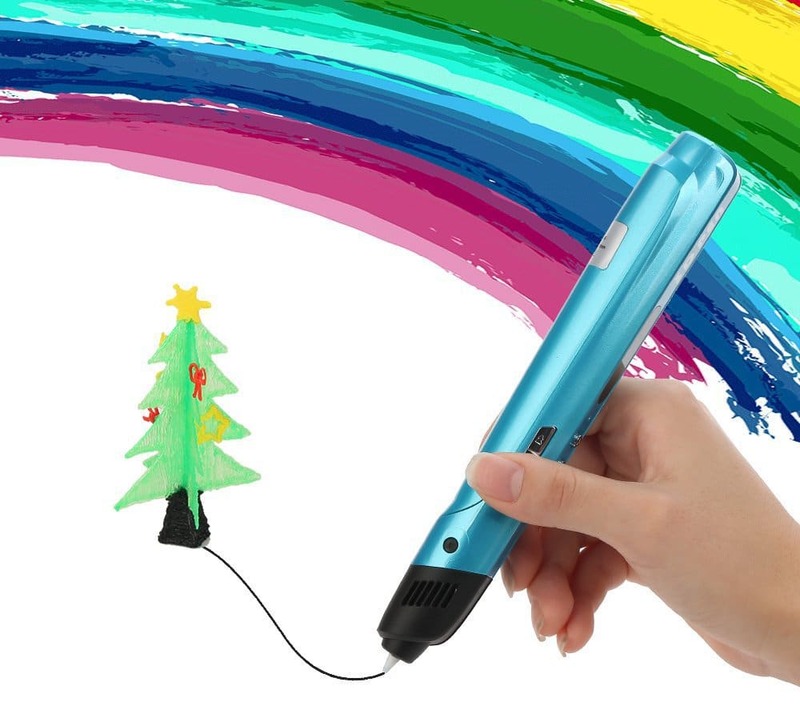 This 3D pen for doodling is an excellent gift for the artistic teen with an intuitive pen design and 1-4 levels adjustable spinning speed that’s best for creative 3D drawing. The pen-like design provides comfort and control when drawing curves and exciting things. This printing pen features an aviation ceramic nozzle that’s safe and convenient to use. Baisili also included an intelligent LED display that shows information like sleep interface, working interface, temperature, speed, warning, and delivery type. This product is non-toxic making it safe and reliable for use. Temperature control function could be improved. Why we like it: This wireless headphone features increased comfort since they’re cord-free. Besides, Treks Air has an open ear design that will allow him to know what’s going on in his environment. This wireless stereo headphones feature Bone Construction technology and are 20% lighter for increased comfort and safer than the traditional sport over ears and earbuds. The new organic open ear design in the Treks Air will allow him to hear his surrounding no matter where he goes. Treks Air wireless has included a wider dynamic sound range and a deeper bass guaranteeing clean surround music. In addition to this feature, this wireless is lightweight making you forget that you’re wearing them. Treks Air is sweatproof so; he can use it for in his cardio training or running without worrying about weather elements and sweat. Why we like it: This mini electric scooter best fits riders between 16-18 years old and would make a perfect gift for your teen son to quickly and safely transport him from one point to another on different types of terrain. 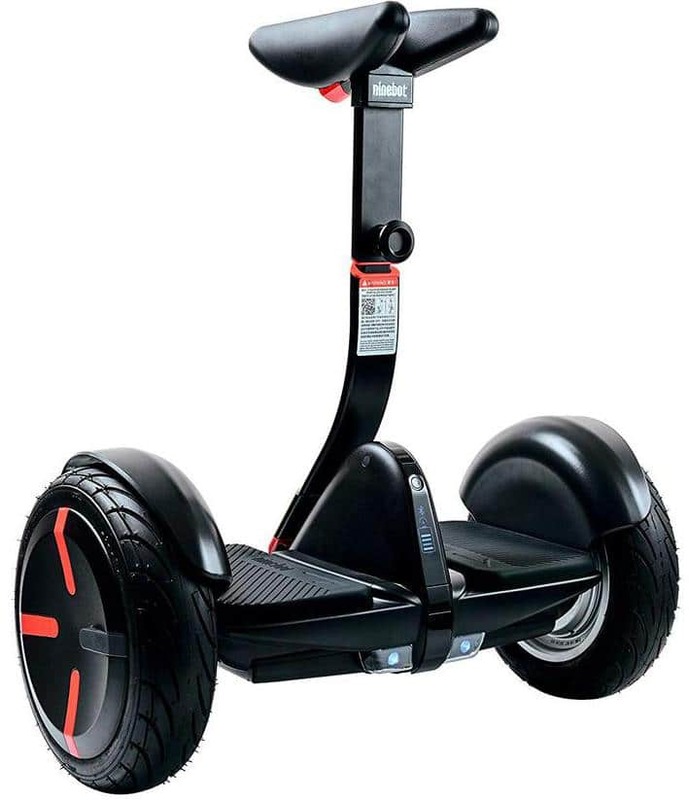 The Segway miniPRO (2018 Edition) Self-balancing transporter is an excellent and fun gift for your teen. The Segway miniPRO features Ninebot technology an incredible revolutionized mode of personal transportation built to traverse diverse indoor and outdoor terrains. The scooter features12.5 mile range and an 800-watt powerful dual motor which easily navigates through humps and slopes even at high speeds. This handsfree electric mini scooter notably features precision sensors and a knee control bar for stability and safety allowing him to maneuver better. This product is lightweight making it easy to carry and store. Segway also included an app that will help him adjust light colors, update the firmware, modify features and remotely command the mini scooter to move. The miniPRO transporter notably features automatic headlights and customizable LED taillights that ensures the young man’s safety day and night. In addition to this feature, the device has an anti-theft function that allows him to lock the miniPRO for security. 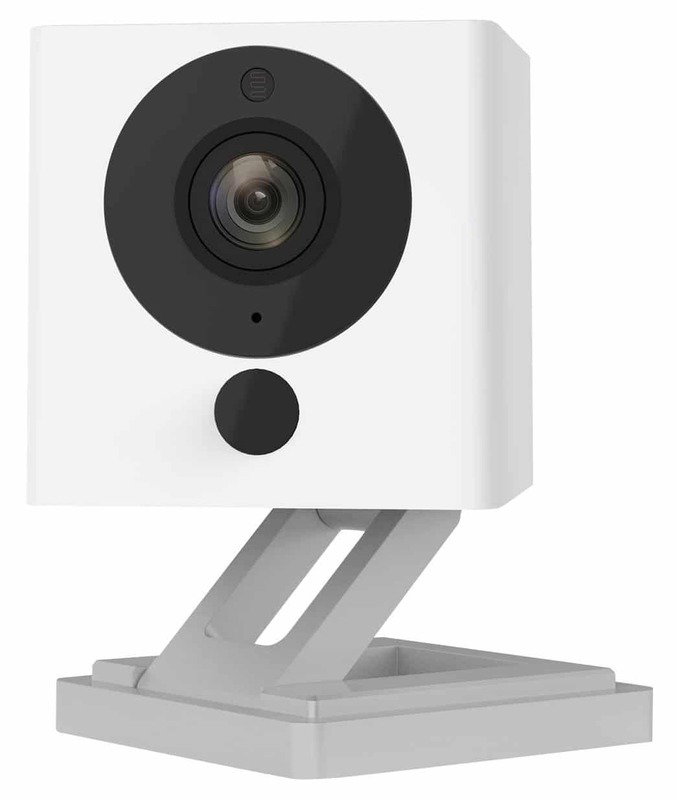 Why we like it: The Wyze Cam indoor smart home camera makes a perfect gift for your teen who wants to have an intelligent home security camera with excellent picture quality and a remarkable night vision feature. This indoor wireless smart home camera features 1080p full HD live stream capable of delivering quick, well-defined, live stream footage directly to his phone. Wyze Cam v2 notably features 8x digital zoom, 110 degrees wide angle lens and a night vision up to 30 feet allowing him to see crisp, clear, detailed images day or night. This camera works with Alexa voice command that can show different locations. Wyze Labs included a magnetic base, a flexible 3-axis design, an adhesive metal plate and a compact size that’s easy to use – a simple, smart home technology for everyone. Your curious teen will be able to watch mobile objects with the Motion Tagging technology that identifies and draws attention to moving objects. 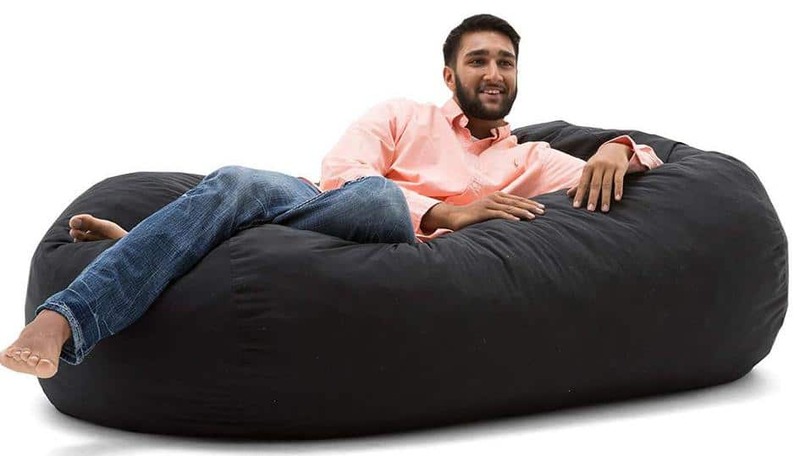 Why we like it: This foam filled bean bag chair is the ultimate gift for your teen boy that offers cushiness and relation when watching TV, reading or when playing his favorite video games. The Big Joe Media lounger bean bag chair with foam filled Fuf is a remarkable gift for the growing young man to watch TV, play favorite video games and read. The lounger features shredded foam filled Fuf that makes it super-spongy bringing for more comfort. The bean bag chair is six feet, large enough to fit two people and takes a little time to plump back up when you get out of it. The Big Joe Media utilizes foam upcycled from industries on this chair offering a great time of relaxation. 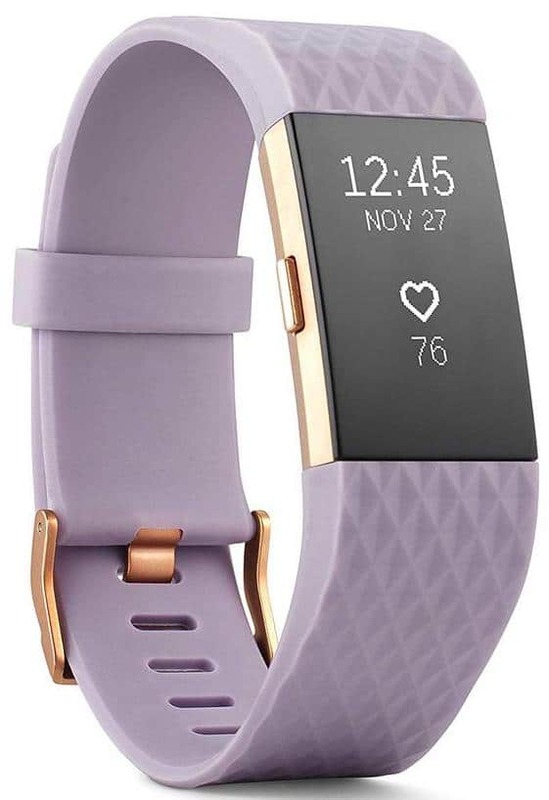 Why we like it: The stylish fitness wristband will help your teen to maximize his workouts and track all-day activity and personalized guided coach with tailored video workout sessions that will help him to push his fitness further. The PurePulse heart rate and fitness wristband feature an automatic heart rate tracking that helps to measure the calories burned when working out at the same time monitors all-day activities. The wristband features multi-sport tracking that uses GPS to record events such as running, cycling, and walking that will help him have an enhanced understanding of his health and wellness level and how he can get better with the custom-made Cardio Fitness Score app. This device also connects wirelessly and automatically with over 200 plus IOS, Android and Windows devices to store real-time stats. The guided breathing sessions displayed on this Fitbit will help him to stay calm through the day based on his heart rate. Also, the guided coach will enable him to exercise with personalized video workouts like running or walking – the motivation he needs to push himself further. 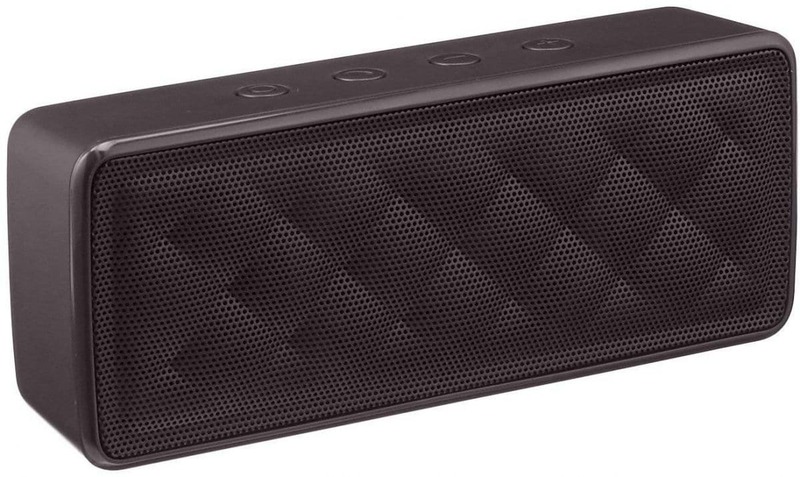 Why we like it: The Bose Bluetooth speaker is the ultimate holiday gift for your teen boy best for outdoor use with crisp, clear sound quality and low bass, a waterproof design and a compact design that allows him to play his favorite music at the same time pick calls. This Bluetooth speaker from Bose features crisp, balanced sound with unparalleled bass for a Bluetooth its size best when he’s going for a camping trip or to the beach. The built-in speakerphone features a durable tear-resistant silicon strap that easily attaches on a backpack, or handlebars allowing him to pick calls when walking, riding the bike and holds tight every time. This device pairs with a smartphone or tablet with voice access to his phone’s Siri app or the Google assistant. The Propriety Bose technology included in this Bluetooth speaker produces loud sound perfect for outdoors thanks to the mounted transducer and passive radiators. 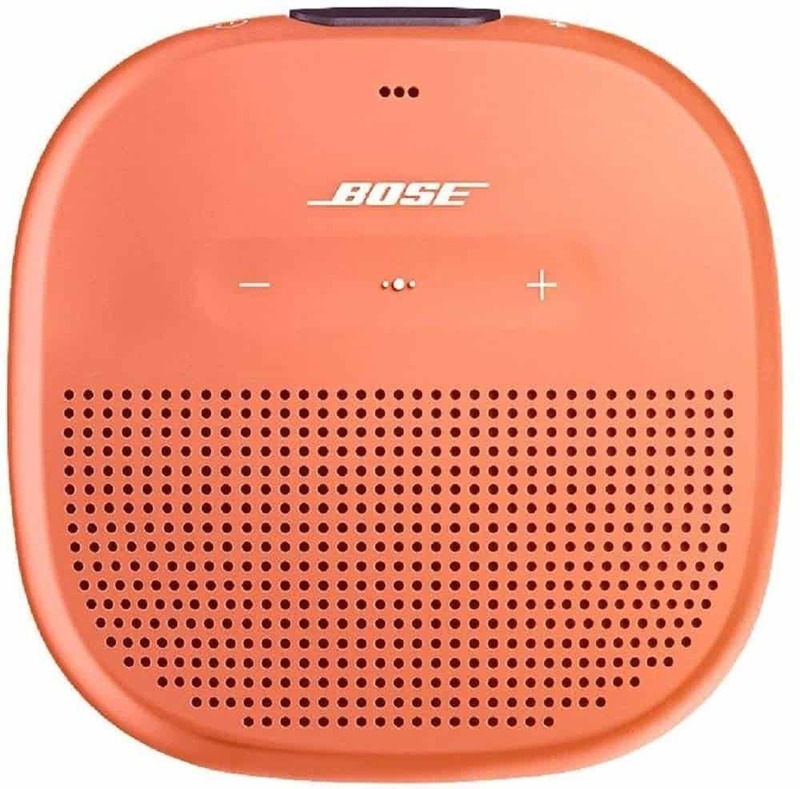 Your teen boy can utilize the free Bose connect app party mode to pair more compatible Bose speakers and stream the same music on each device. No need to worry in the case this Bluetooth speaker has dropped accidentally in the beach or pool, as it features a waterproof design with a soft, rugged exterior for durability. The rechargeable battery lasts up to six hours on a single charge offering a more extended period of playing favorite music. Why we like it: The most significant benefit of getting Apple Airpods for your teen as a gift is the handsfree function for ultimate mobility whenever he’s driving, running or working out allowing him to focus more on the activity. Besides, the earbuds are stylish and comfortable. The Apple Airpods earbuds is a remarkable gift to consider due to the infamous driving scenarios that your young man could find himself in. While holding a phone and talking in it is illegal in many places, with the Apple Airpods he will be able to answer his phone and still drive. This wireless earbuds are sophisticated and stylish and feature a cord-free design for increased comfort than their wired counterparts. Losing the cords means that less battery is used giving him five hours of listening time on a single charge. 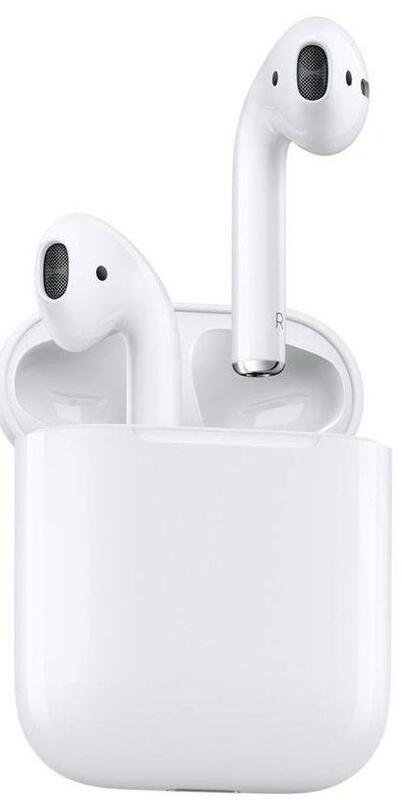 The Airpods features breakthrough technology with crystal clear sound and dual beamforming microphones with a noise isolation function that filters out background noise when making calls or when talking to the voice assistant. This device is easy to use with a simple one-tap setup that keeps him automatically connected. 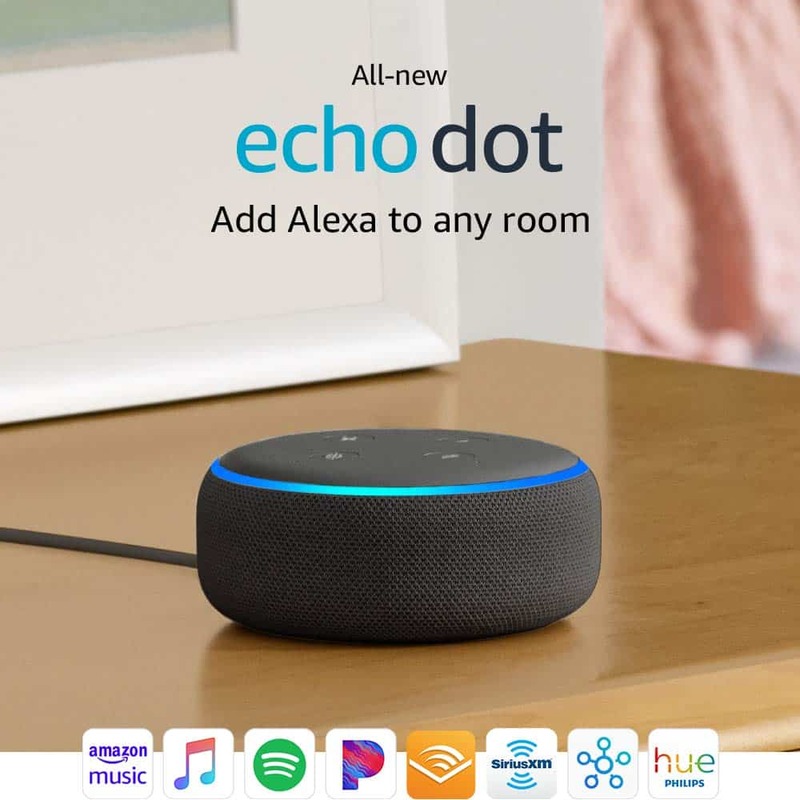 Why we like it: The Echo Dot is a fun gift for your teen to own and use around the home that makes life easier, lets him set reminders, and control multiple devices with a single voice command. The Echo Dot features a voice-controlled speaker with improved functions like the sound that offers crisp, clear sound when playing music or when answering questions. This smart speaker with Alexa voice assistant can stream songs from Spotify, Amazon music and Siri. Besides, the Echo Dot helps to check the weather, read the news and set alarms for urgent appointments. Additionally, the device upgrades with a fitness tracker that will help him monitor daily activities like running, cycling and walking. With the Echo Dot, he will be able to call friends and family handsfree through the improved speakers that provide richer and louder sound. The product can be paired with other compatible Echo Dot devices for stereo sound and make announcements across the accessories for more comfortable and better communication. Why we like it: This is a perfect gift for his bedroom décor by Kathy that with inspiring messages which he can put up in his room and make him feel motivated. 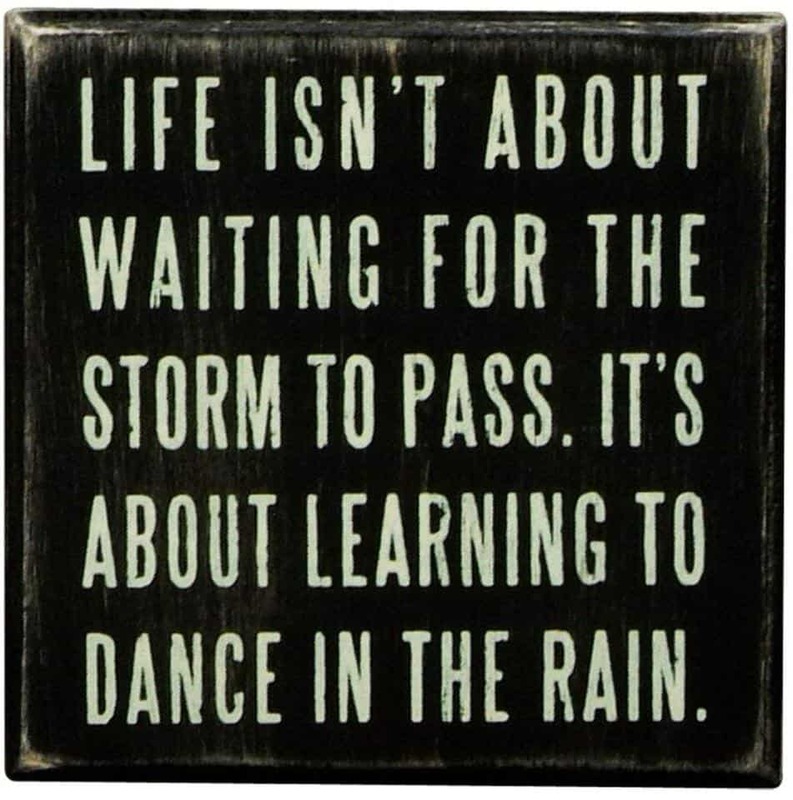 When things get tough, Primitives decorative signs by Kathy will leave the young man inspired. The pithy sayings are celebrated and essential because the right quotation adds interest, and spice in the young man’s life. The sign features a classic rustic black and white color with a 4 x 4-inches dimension. The display notably features a free stand design but can as well be hanged on the wall. Besides, the sign features high-quality wooden materials with distressed paint that make it unique great for the countertop or bathroom shelf. Why we like it: There are things in life that keep on missing. 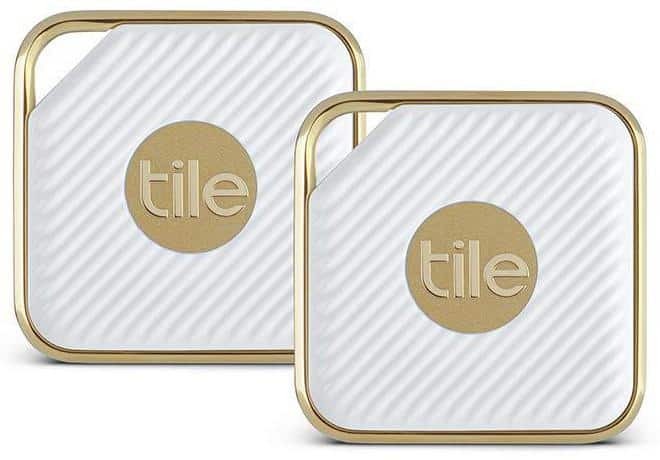 With Tile, your busy young man will be able to track his devices, keys or other important things in his life giving him peace of mind and security. The Tile EC 11OO2 Key finder will help the busy young man keep track of his devices like tablet, smartphone, keys among other things. This small device features a ring for securing with items that he’d want to keep track with a powerful range of up to 200 feet. The tiny speakers featured in the Key finder produce loud sound enough to hear at 100 feet away. The device will quickly link to his smartphone once he downloads the app and whenever he misplaces an item, he needs to press the Tile that makes a powerful ringing noise even when his phone is on silent mode. This Bluetooth based key finder will make his life less stressful and save him time spent locating missing items. Why we like it: Laughter is the best medicine, and this prank gift box offers fun moments intensifying bonds between his family and friend. Gag gifts are a great way to relieve stress and promote creativity and awaken the imagination. This Gift gag kit is the perfect prank for any occasion for the teen who loves to play pranks on people. The prank pack boxes are hilariously funny that guarantees laughter when he watches his victim struggle to figure out what’s inside the box. The product is easy to assemble with a simple easy-to-follow 2-step process that requires no glue or stickers. The gag gift box features a large size that can perfectly fit any gift that lets him put the actual gift inside – adding a quirky and fun twist when giving out the present. Additionally, these boxes feature 100% recyclable cardboard construction that makes them high-quality and sturdy. 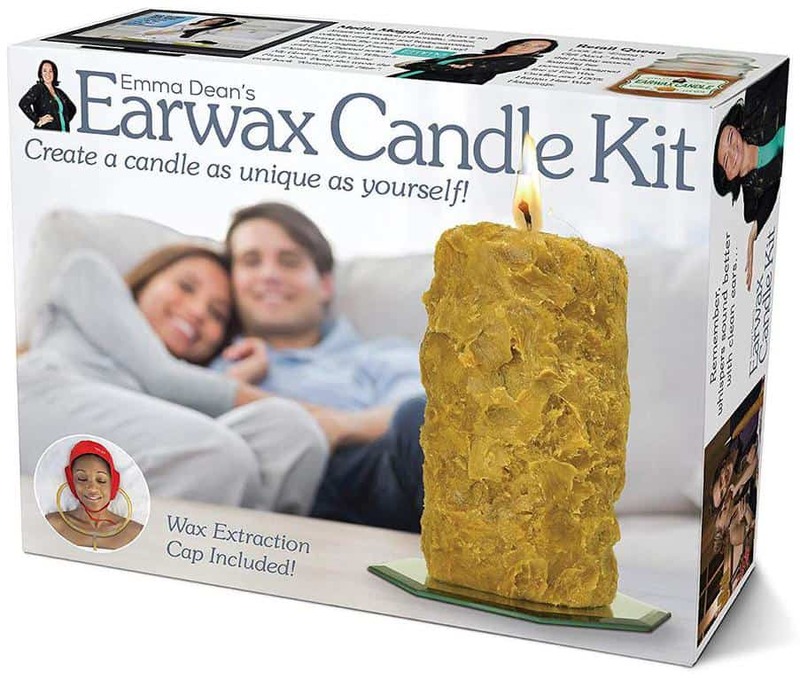 The Prank gift box will have his victim convinced that they have the most bizarre gift, a fun way to add laughter to any party. Why we like it: Going from high school to college will be a significant change to the young man. The Hardcover guide will prepare him in the first year of college for one of the most exciting and enjoyable times in his life. The Hardcover by Nora Bradbury is an excellent gift with solid advice for the incoming college freshman. It’s an easy read with practical information about campus living and how to relate to other college students. 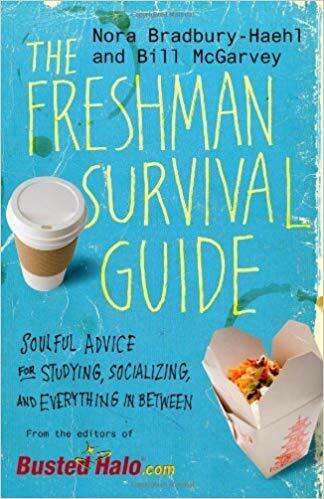 The book has hands-on advice on how to thrive in college with helpful tips on how to overcome fear and make new friends, how to step out of his comfort zone and know how to maneuver the world of no curfew. Time management is key to success in achieving a balanced life in college. This book will help him understand how to balance study time and extra-curricular activities. Why we like it: If he has always been a tech whiz kid and is interested in coding and programming, the Kano Harry potter Coding kit will make a perfect gift with over 70 creative challenges with simple beginner steps that will help him build a wand. 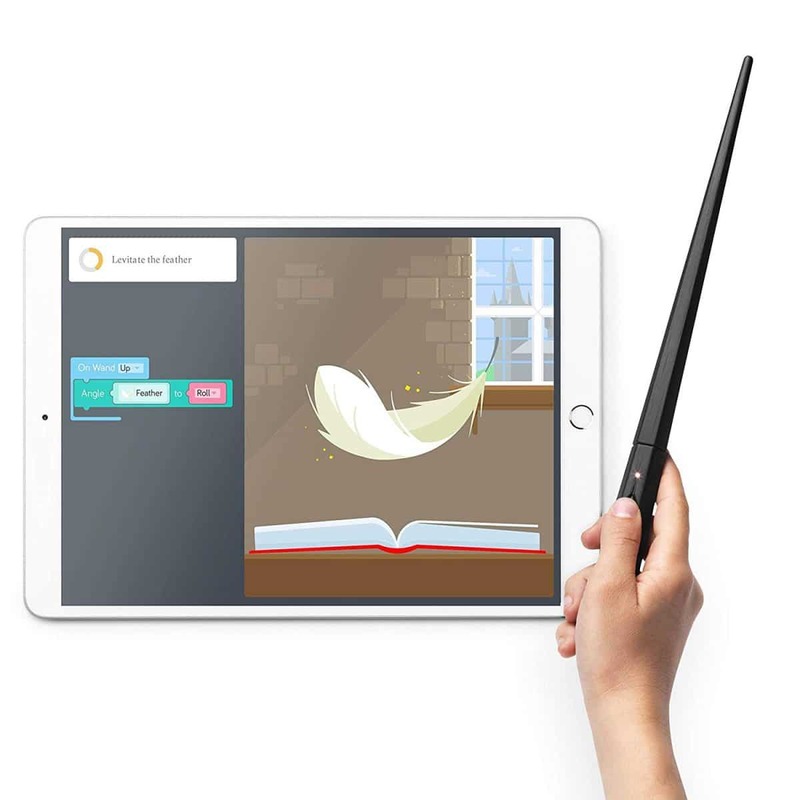 The Harry Potter Kano Coding kit with more than 70 creative challenges and games is compatible with IOS, Android and Amazon tablets. The game features wand parts, PCB with portable LED, free Kano app, a step-by-step guide, posters, stickers, button, and batteries. When assembled, the wand responds to movements on tablets and computers screens with over 200 exclusive sounds, and Wizarding artifacts. Besides, the Kano coding kit will enable him to share and connect with creative Kano community around the world. Why we like it: This is a fast-paced, fun and intuitive game with straightforward instructions that can sometimes be “confusing” with counters and various attacks by other players. 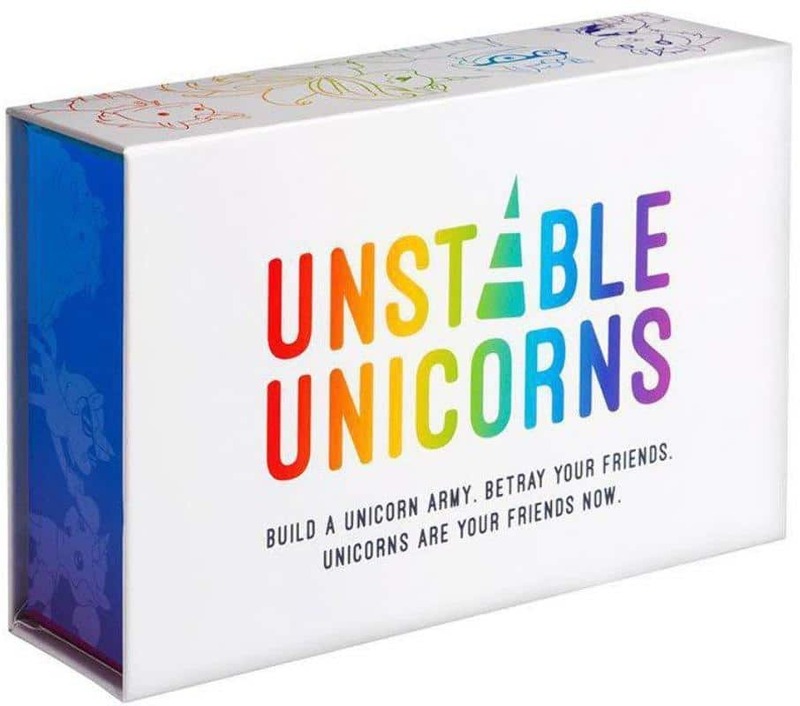 This is a strategic card game that let him build a unicorn army with a few tweaks and fun for the whole family. The instructions are deceptively simple at first glance and on specific cards, but as the game continues, there are negotiations and deliberations on what some rules mean that requires him to weigh some options to meet the goal. The game is relatively quick with a lot of downgrades and upgrades unicorn types that make it entertaining, intuitive and exciting. While children are easy to shop for teen boys are more demanding and hard to impress as they want gifts that are cool and identifies with their personalities. There are tons of tech gifts that turn to be very expensive, that could make you end up spending more than you had planned. 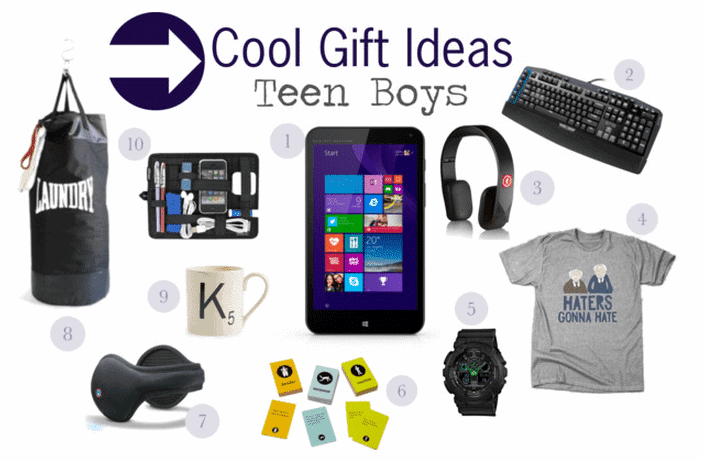 To avoid this scenario, if you’re on a budget and want cool gifts for your teen boy, this guide has got you covered and will help you beforehand as head out to shop. Most importantly, recognizing your teen’s interests will make your search easier plus you don’t need to spend a fortune to put a smile on his face.